Summertime has arrived! It’s time for long days spent in the sunshine, family getaways, and of course, lots and lots of outdoor entertaining. 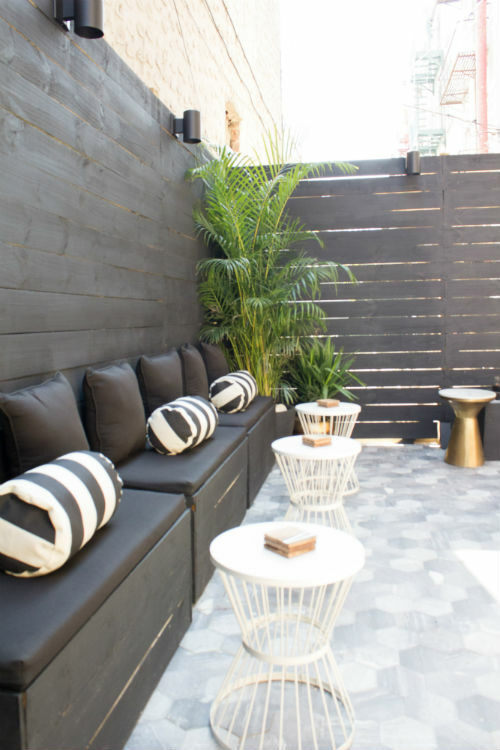 As sunny weather takes hold, maximizing an outdoor space is a top priority. 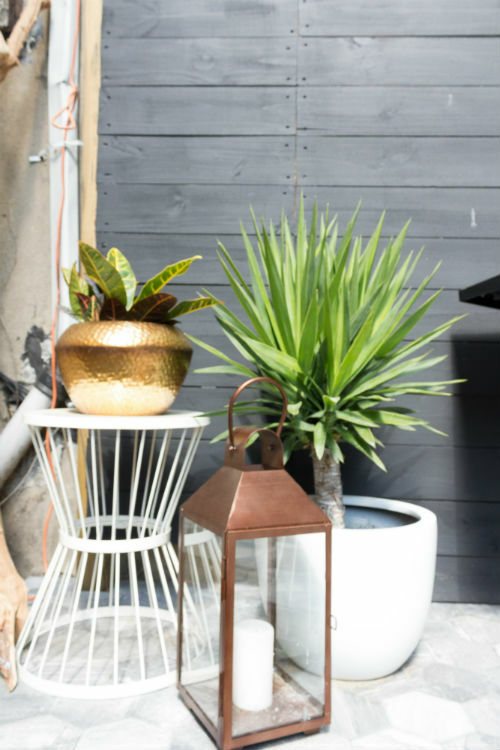 And whether you have a deck, a patio, or a backyard that stretches as far as the eye can see, there are items that every home needs to be on-trend this summer season. Here are seven of our favorite trends for summer 2018. People say “bring the outdoors in,” but this year, it’s time to bring the indoors out. Think beyond plain patio furniture for your outdoor space this summer. Instead, turn your outdoor space into an extension of your living room, dining room, or both. Bring the indoors outside by loading your outdoor space with textiles. Weather resistant cushions and pillows are perfect for modular bench seating. Add some metal side tables for an outdoor space where guests can dance the night away at your next summertime event. This summer it’s all about being lush at home, and there’s no better way to build a lush atmosphere than with plants. If you don’t have the best green thumb, no problem. Look into planting a container garden featuring your favorite plants and herbs. 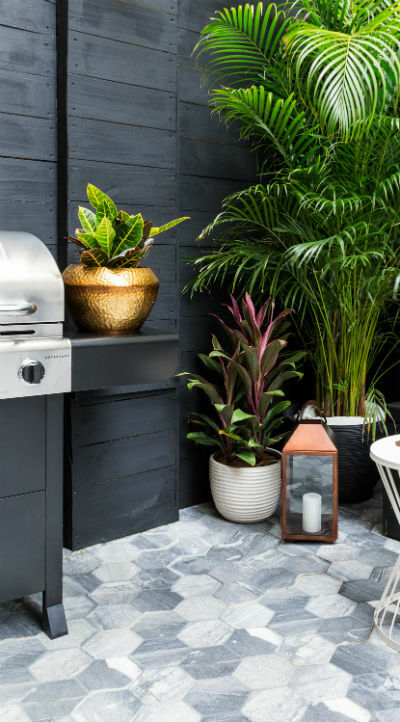 Giant majesty palms, colorful snake plants, and any other plants and flora that you can discover at your local hardware store can placed in stylish containers to brighten up corners outdoors. The outdoor dining room is a must-have this summer. This multipurpose space is great for entertaining a group of friends, and also works for all of those al fresco family meals you want to enjoy during beautiful weather. But what should be in your outdoor dining area? Woven seating comes in more options than ever this season. 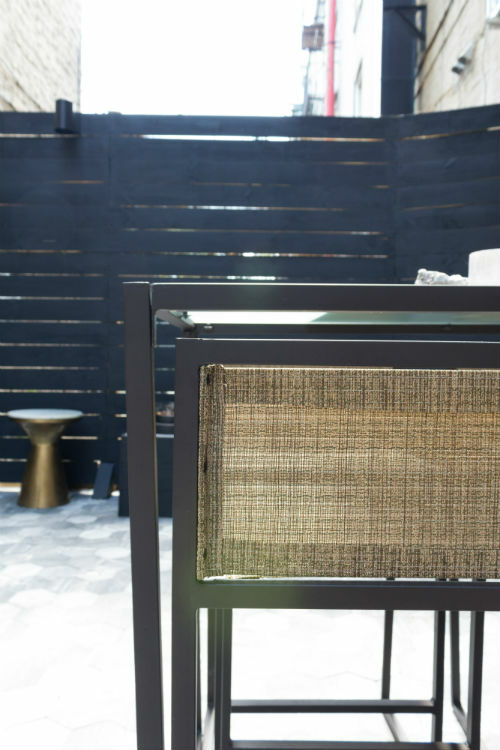 Beyond basic wicker, rattan, jute, and a host of natural fibers are finding their way into modern outdoor dining sets. The woven materials are a reflection of nature, and in smaller weaves, they feel extremely contemporary. 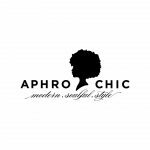 Check out new woven seating at your favorite home decor shops for a modern touch to your summer decor. Metallics continue to have a moment in decor this summer, including shimmering brass, gold, copper, and silver. These precious metals offer eye-catching moments in interiors and exteriors. For the summer season, look for metallics in new forms. Add some gold plant pots to your decor. And discover copper lanterns, perfect for adding ambiance outside. Metallic finishes that make a space feel warm and welcoming will be spotted in many outdoor spaces this year. Designers know that no space is complete without art. It’s a pet peeve—walking into a space where there’s nothing but blank walls. This summer art takes on new dimensions, and can be the finishing touch in your outdoor space. Art can be used to frame a dining area, or to add interest to plain fencing or decking walls. The most important thing—make sure your art can stand the outdoor elements, or just place it for parties and bring it inside at the end of the night. Exterior trends don’t change as quickly as home decor, but this year some new ones are popping up. Out goes natural walls or plain white exteriors, and in comes dark black, blue, and gray colors that allow every element to pop. Dark black walls are especially popular this summer. Wood siding is being painted black on the exterior. And fencing is taking on new dimensions in black this season. It’s no surprise why the color works. 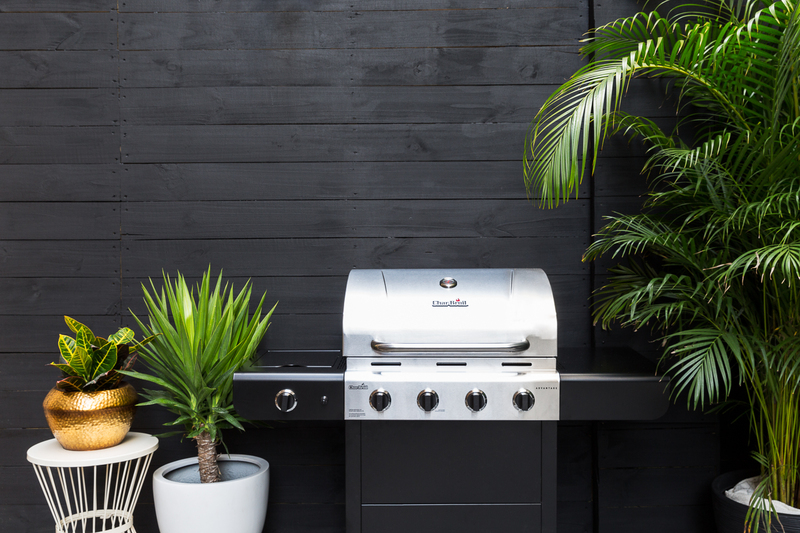 Everything looks amazing against it, from necessary summer appliances, like a grill, to lush elements like plants and flowers. 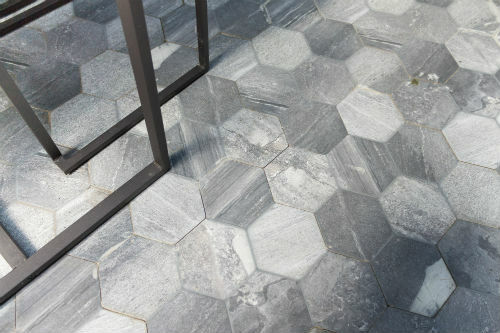 If there’s one trend this summer that’s the ultimate trend for the season, it has to be tile. Clay tile, cement tile, stone tile—it’s all having a moment this year. Tile creates a statement. It makes a space stand out. It’s versatile. It can be used to design a patio floor, it can be a decorative touch on an outdoor fireplace, or it can be used as pavers in a backyard. It’s also long-lasting and so durable that you can install tile that will last a minimum of 20 years in a space. Look for tile to update your exterior this summer and make a cool statement at home.